Thirteen South African children&#39;s stories retold by Arthur Owen Vaughan. A GREAT READ FOR CHILDREN! 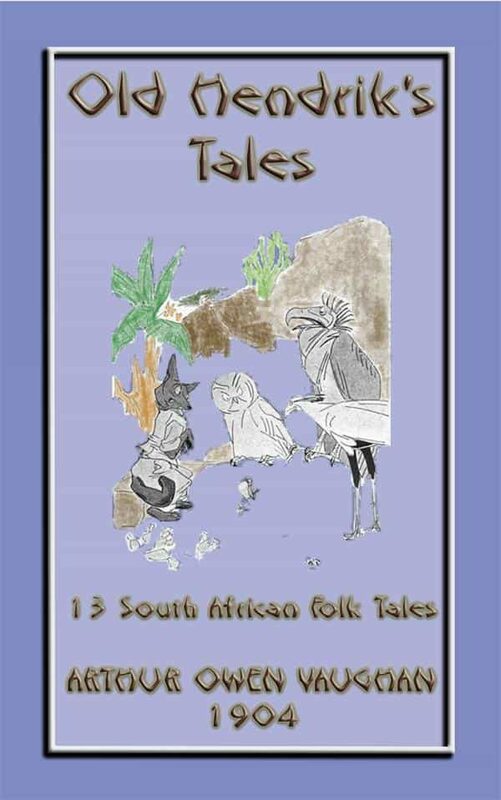 In this volume you will find 13 uniquely South African folk tales. Stories of Why the Baboon has that Kink in his Tail, Why Old Jackal Danced the War-Dance, When the Birds would choose a King (also known as Tink Tinkie), Why the White Owl only Flies at Night, Why Little Hare has such a Short Tail and many more. In the days before the many languages of South Africa were first recorded and written, these are stories that were used by the Sangomas (medicine women) and the Umxoxi Wendaba (Umzozi Wendaaba - story tellers) to teach their children the moral lessons of life and orally pass their knowledge on to the next generation. So gather around the campfire and share the many stories in this book to the delight of young and old alike. Laugh at the stories and laugh even harder at the illustrations by J. A. Shepherd. Then when the hour grows late, when sparks from the camp fire have stopped ascending into the black night and young heads and eyelids have grown heavy; when the dying fire is making long shadows dance across the veld, close the book with the promise that Old Hendrik will tell another African story on another day. To help young readers understand some of the African words and terminology, we have also included a lexicon with phonetic pronunciations and translations of the words to make it easier for the young ones to sound out and understand these words. &nbsp;. Otros ebooks de Unknown Authors.